Friday November 2nd 2012 was a great day for the safari ride over at Animal Kingdom. The weather was BEAUTIFUL, and the animals were loving it! Since they were feeling so frisky and active, some of them modeled for my photo shoot. A few pictures are a little blurry but others came out great! 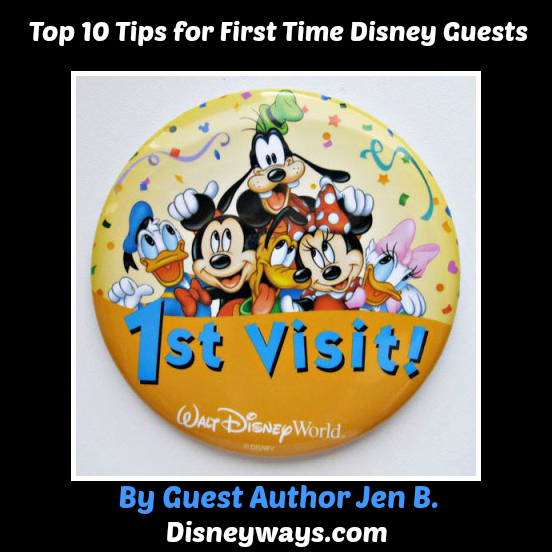 Top 10 Tips for First Time Guests by Guest Author Jen B. Though this could easily be further down on the list and closer to one of the most important tips for your first visit, many of the following tips are only available if staying on property, so alas, your #10 tip! Disney offers more than 25 different hotels that are broken down into various categories according to price (value, moderate, deluxe, and deluxe villas). Staying on Walt Disney World property puts you that much closer to the magic, provides you with extra benefits, and presents you with even more hidden Disney magic. Each hotel is themed differently, so find the one that fits you and your party the best and book your stay! In order to take full advantage of all the transportation opportunities Disney has to offer, you must be staying at a resort. Rather than paying for parking and waiting in long traffic lines, opt for the complimentary buses, monorail, ferry, walkways, and magical express. Each form of travel is unique and serves as a great way to both start and end your magical days at WDW! Disney buses pick up from every resort and arrive every 15 minutes or so. They start running before parks open and drive all day until after parks close. The monorail is a must ride for your first visit as it is an attraction within itself! 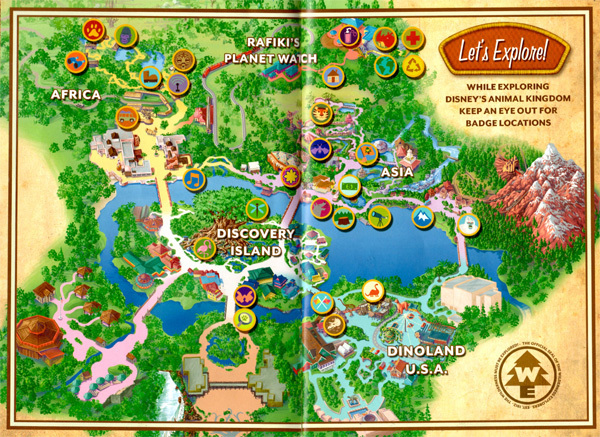 Another neat option is the ferry between some of the resorts and MK. Lastly, start your vacation the right way and let Magical Express pick up your bags from baggage claim once you arrive at Orlando International Airport. Hop on that motor coach and head right to the parks, there’s tons to see and do! With so much to see and do, plus the benefit of being a WDW resort guest, be sure to take advantage of the Extra Magic Hours and Fast Pass Times. Every day one of the four main parks either opens up to 1 hour early or stays open up to three hours late. Only guests staying in a WDW resort can take advantage of these times when crowds are minimal! Use this time to see the wild animals roaming the savannah after their morning stretches, ride the Tower of Terror before the wait time climbs to 2 hours, or stroll down Main Street USA and window shop without the crowds and endless strollers! Adding the Park Hopper option to your Magic Your Way Base Ticket is truly a personal preference, but I would advise that you do! When vacationing to WDW you can either plan every minute of your vacation or agree to be flexible, but either way, the ability to travel from park to park to help with either schedule will make your vacation much less stressful and far more magical! I can’t tell you how many times we woke up to catch the first Kilimanjaro Safari ride, but then wanted to see the Wishes Nighttime Spectacular before bed that same night. On a first time trip, it might seem overwhelming and you might be sitting there saying, “This is crazy. One park per day is far more than enough, Disney offers so much!”, but I find the park hopper option to be far less overwhelming. When on vacation, one is supposed to be relieved of all stress, free of all plans, and in favor of spontaneity. Be spontaneous and hop! After reading #7, this is only necessary. Given that the park is broken into different lands (Tomorrowland, Fantasyland, Adventureland, Frontierland, and Main Street USA) it’s almost as if this park is really 5 parks in one. Thus, the more time you can spend here the better. Strolling through the shops on Main St. and watching the parade that rides down the street as well, can easily eat up a solid chunk of your afternoon. Pending ride wait times and if you enjoy a sit down meal or not, no matter how early you enter, or how late you stay, Magic Kingdom deserves at least two days. Just think, this was Walt’s dream and the very first part of the Walt Disney World grounds. Plus the castle serves as the iconic staple of all things Disney. All first-timers should truly immerse themselves in all the magic that the Magic Kingdom has to offer. Don’t rush through it! When you’re waiting for the parade to start (as it is suggested that you find your spot along the parade route at least thirty minutes before it is to begin) enjoy a delicious treat from one of the many shops and snack stands. Disney, in an attempt to cut back on cost for it’s guests, allows you to bring in your own snacks and refillable water bottles, but the Mickey ice cream bars, Dole Whips, or anything from the Main Street Confectionary will appeal to your taste buds and please your tummy, just as much as a honey jar does for Winnie the Pooh! 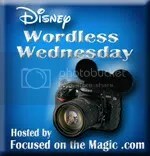 It is unacceptable to visit Walt Disney World without meeting Mickey Mouse right? What about his sweetheart Minnie Mouse? Or his friends Goofy, Pluto, Cinderella, Winnie the Pooh, and Donald Duck? 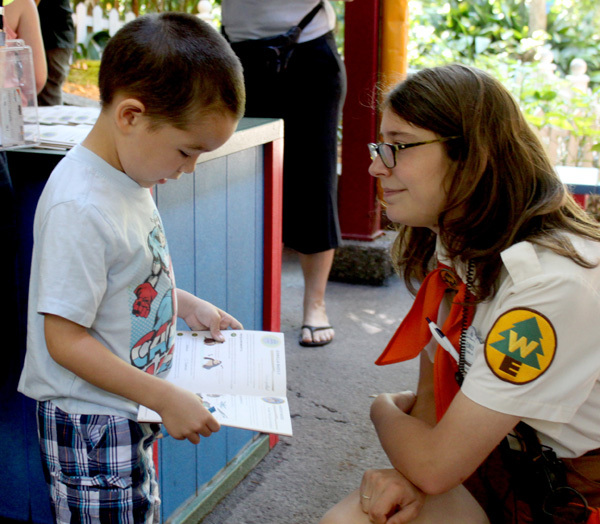 Though the lines may often seem long, there is nothing better than interacting with the characters that roam the parks—this is when the magic truly comes to life. Take a picture with Donald Duck wearing his sombrero in the Mexico pavilion of Epcot; meet Rafiki in the jungle at Animal Kingdom; high five Sully and his pal Mike Wazowski on the Laugh Floor in Hollywood Studios; or spend some time chatting with the princesses in Princess Fairytale Hall in the Magic Kingdom. Hugs are free, autographs are unique, and interactions with all of Disney’s characters, whether you are young or old, last a lifetime! Festival of Fantasy Parade, Main Street Electrical Parade, Wishes Nighttime Spectacular, Illuminations, and Fantasmic. just to name a few. Walt Disney World prides itself on all the intricate details it employs for the fantastic, heart-pumping, ear-to-ear smiling, sing along shows and parades throughout each park everyday. Take a break from the sun, find some shade, sit back and relax. Immerse yourself in Disney Entertainment. Without it, no first time visit is complete. First things first, plan the proper length of stay for your visit. My suggestion is at least a week, but of course that decision is up to you! Don’t try to cram all four parks into a 3-day visit. It’s just not worth it. In addition, plan your first visit for the right time of year. Take into account all factors including first, what works best for you and your family, but also weather, crowd control, and WDW specials and promotions. Next, once visiting WDW, timing continues to be everything. 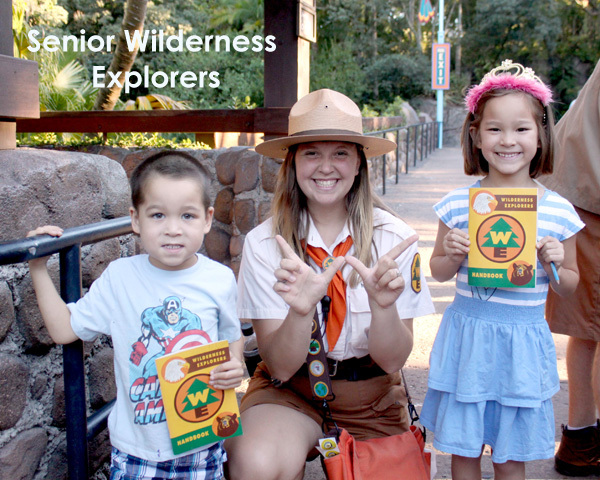 Save valuable time as you venture through the parks by using your time wisely. Eat your meals during non-meal times, either earlier than normal or after the rush; Ride the most popular attractions during major parade times or fireworks shows; Take breaks during the middle of the day and go swimming in your resort pools or enjoy a nap to recharge! And lastly but most importantly, by no means rush through the parks. Slow down, you’re on vacation in the happiest place on earth! Enjoy every millisecond! 2, 10, 14, 27, 42, 60, 75…no matter your age, Walt Disney World is a place for you to always feel like a kid. Allow the magic to erase all of your fears. Celebrate your first visit, and every consecutive visit afterwards, by releasing all your fears and fully embracing the happiest place on earth! Conquer your wardrobe fears and wear something that you wouldn’t think to in your “normal” life. Embrace your inner child and break out that Goofy t-shirt. Or, buy yourself your first official pair of Mickey ears, in whatever style suits you best, and wear them around the parks for a full day, at least. Conquer your fear of heights and free fall 13 stories on Hollywood Studios’ Tower or Terror or face the Yeti on Animal Kingdom’s Everest. Conquer your fear of the dark and ride Aerosmith’s Rockin’ Rollercoaster at Hollywood Studios or Space Mountain at Magic Kingdom. Conquer your fear of all things haunted by gliding through the Haunted Mansion. Conquer your fear of stage fright and bright lights by volunteering to be an extra in the Indiana Jones Stunt Spectacular show at Hollywood Studios. Conquer your fear of singing and dancing in public by singing along and dancing to the beat at Animal Kingdom’s Festival of the Lion King or any of the shows at the stage at Cinderella’s Castle in Magic Kingdom. Lastly, conquer your fear of the unknown by allowing the magic to take control and see what Walt Disney World has in store for your very first visit! Most of all, get that trip booked and enjoy your magical first time at Walt Disney World! Feel free to comment with YOUR tips for first timers – or email guest blogger Jen at diariesofdisney@gmail.com if you have questions about any of these tips!